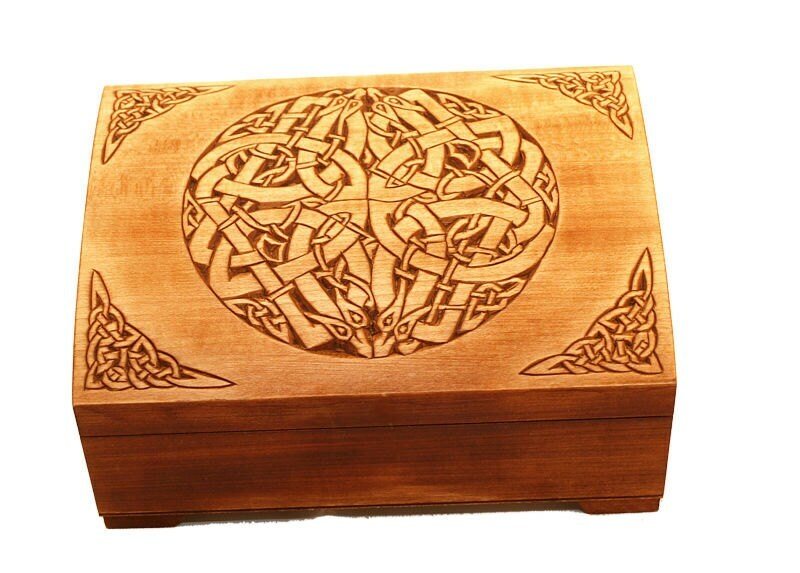 This box is crafted from linden tree. The lid was hand carved pattern. 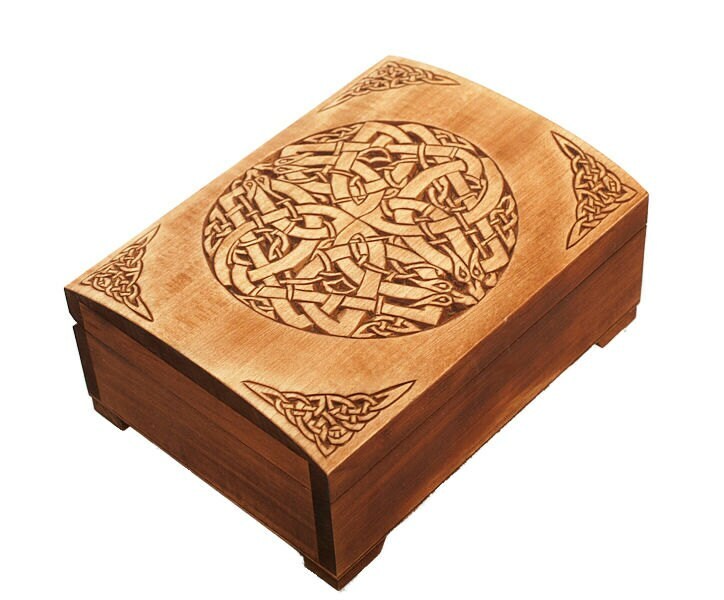 The Urnes Style was the last phase of Scandinavian animal art during the second half of the 11th century and in the early 12th century. 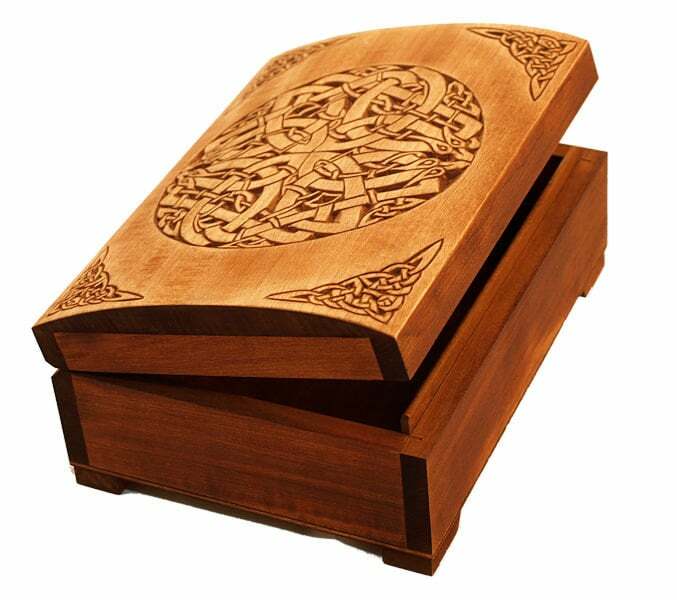 The Urnes Style is named after the northern gate of the Urnes stave church in Norway, but most objects in the style are runestones in Uppland, Sweden, which is why some scholars prefer to call it the Runestone style. The style is characterized by slim and stylized animals that are interwoven into tight patterns. The animals heads are seen in profile, they have slender almond-shaped eyes and there are upwardly curled appendages on the noses and the necks. If you want another pattern, or larger quantities of one of our product, please contact us. Box arrived in good condition and looks very nice. 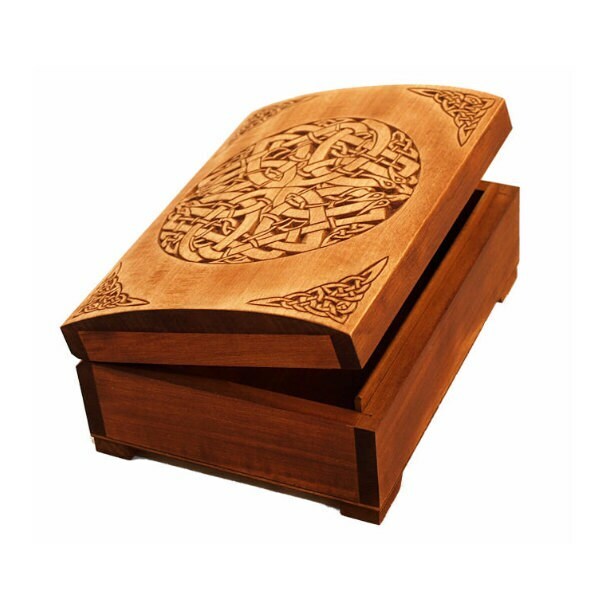 Great Box With Urnes Dragons. 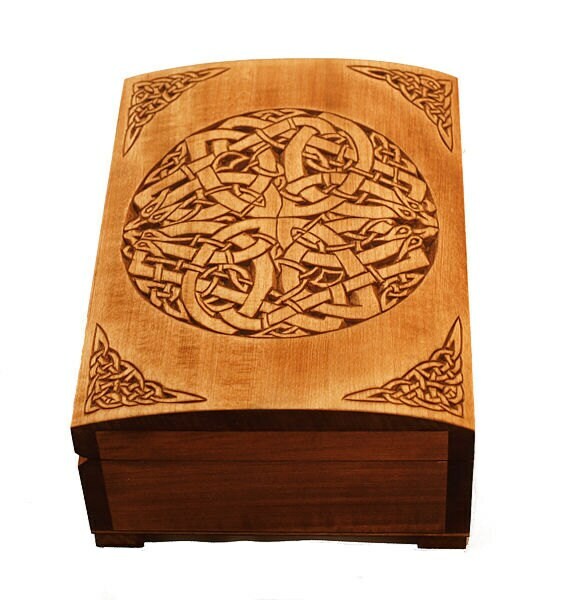 Wonderfully crafted items at a very fair price. Great communication and very prompt delivery as well. Thanks very much!